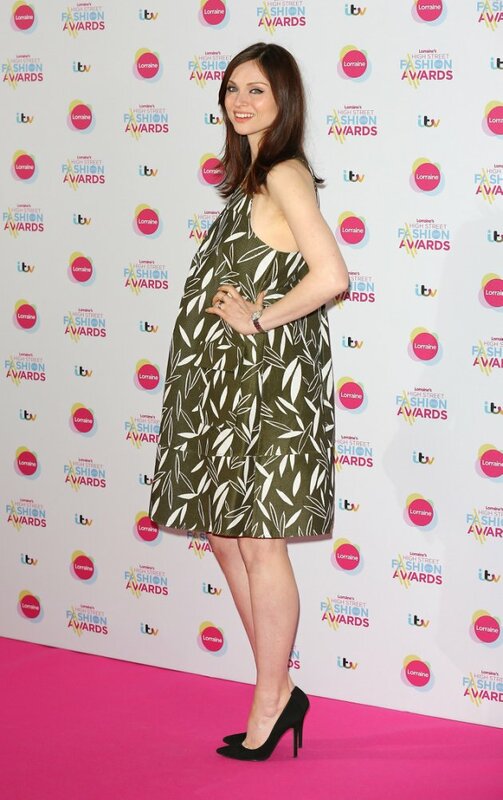 Sophie Ellis-Bextor has confirmed the exciting news that she’s pregnant with her fourth child with husband Richard Jones – CONGRATULATIONS, GUYS! The gorgeous singer sparked speculation this week when she arrived at Lorraine’s High Street Fashion Awards looking stunning and with a visible bump, and it turns out the rumours were true! She then confirmed that their next little one is due in the autumn, and we cannot WAIT to meet him or her! The couple already have three sons together – Sonny, 11, Kit, six and Ray, three. Sophie previously spoke to The Guardian about motherhood, revealing: “When I was pregnant with my second child, I craved Flamin’ Hot Monster Munch every day, whereas previously I’d been much more of a pickled gherkin girl. “I just love pickled things, which goes back to fish & chip shops as a child, where I’d beg ‘Can I have two gherkins, please?’. And I still don’t like salt on my chips. She added: “Since having children I know how satisfying it is when children eat and how stressful it is when they don’t. If I say it’s bedtime and they say ‘I’m hungry’, I think, ‘Please don’t say that, because I can’t deny you food, I just can’t’. CONGRATULATIONS AGAIN, GUYS! We bet your newest addition will be a right little heartbreaker.